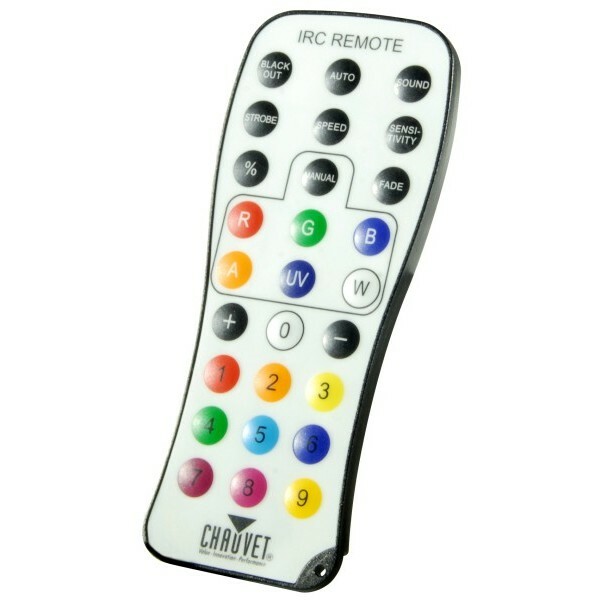 Chauvet DJ IRC-6, IRC-6 is an easy-to-use infrared remote control (IRC) for IRC compatible lighting fixtures. 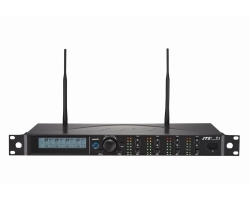 It provides instant access to pre-programmed scenes, color mixing options and on-the-fly speed adjustments. 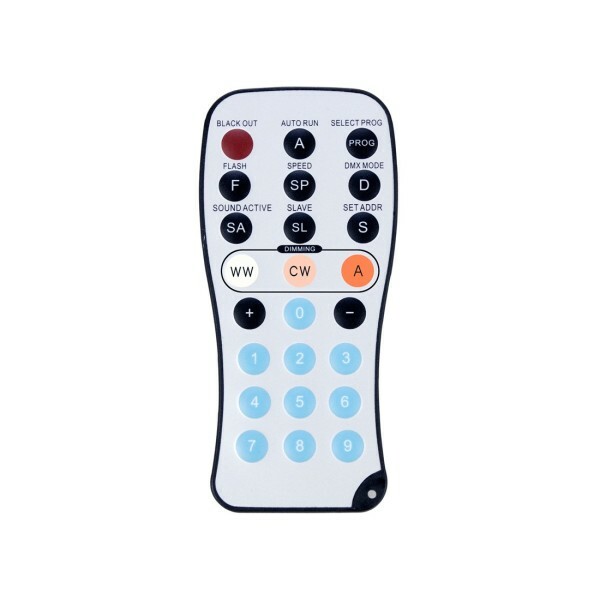 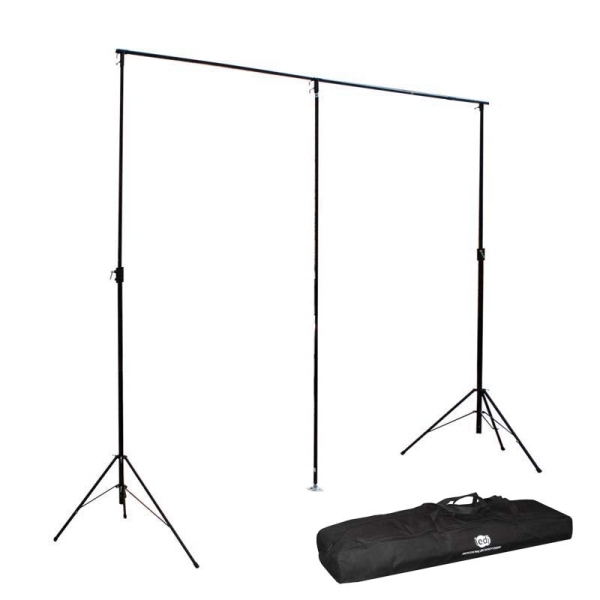 This compact and lightweight remote has an approximate range of 30 feet (9 m). 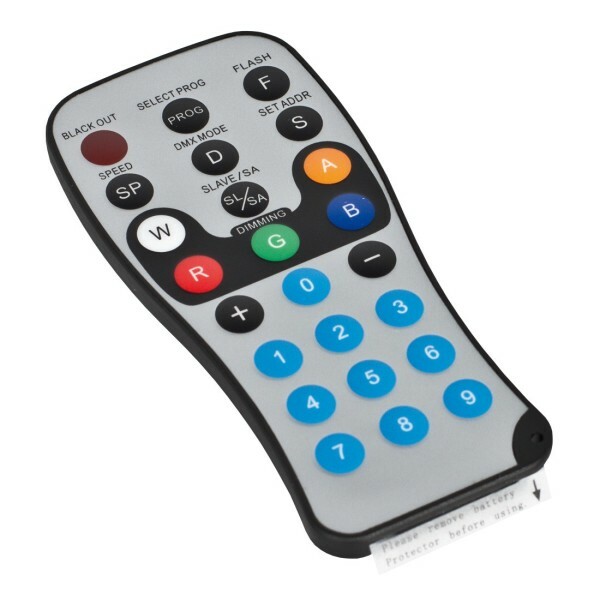 Equinox Mighty/Giga Bar IR Remote, Replacement IR remote for the Giga Bar and Mighty Bar Systems. 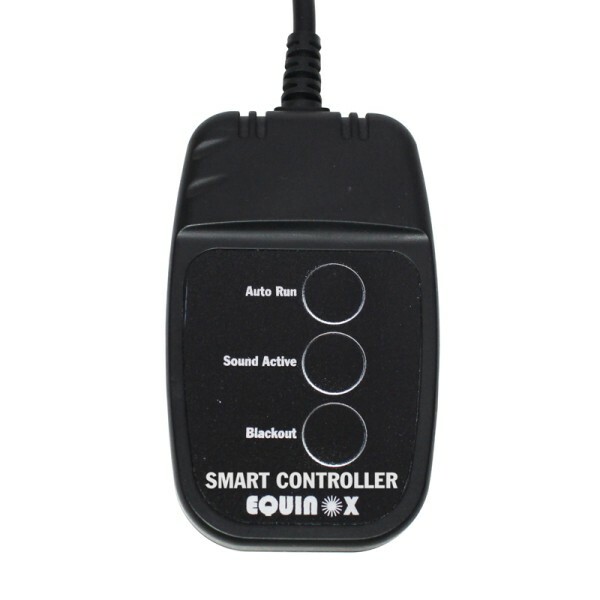 Equinox Smart Controller, A compact handheld, simple controller that's great for small light shows and can be used with select Equinox fixtures which offer external control. 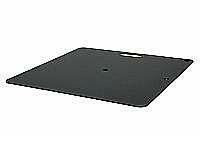 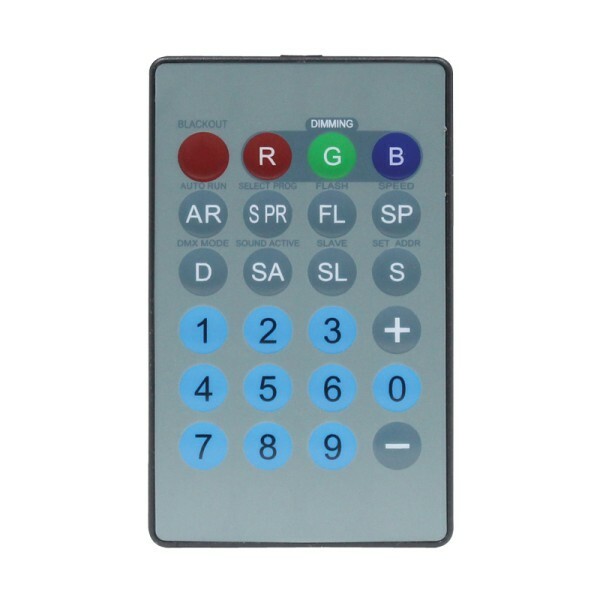 SD-1 Controller, The SD-1 is a dedicated controller for the Display Panel, Display Qube and Display Floor fixtures. 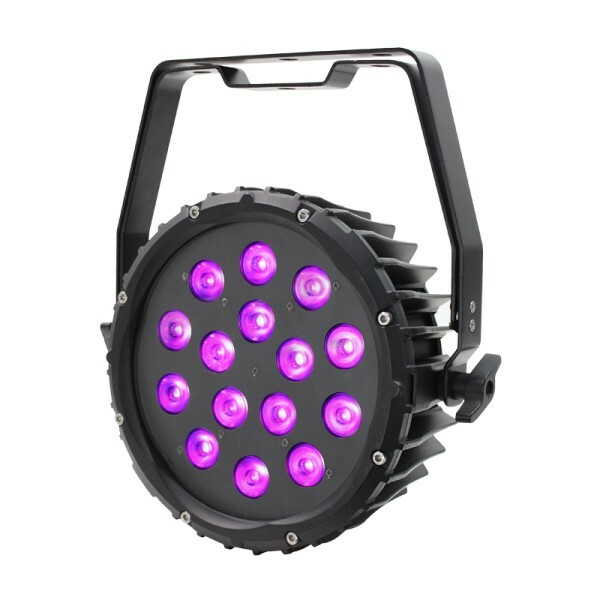 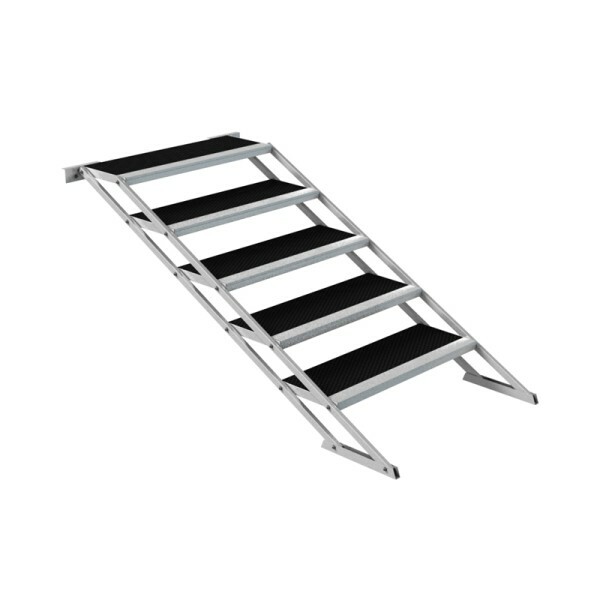 Features include 82 programs with auto run and 18 speed settings, master/slave mode for multiple fixture linking, sound active with sensitivity adjustment,brightness and DMX modes. 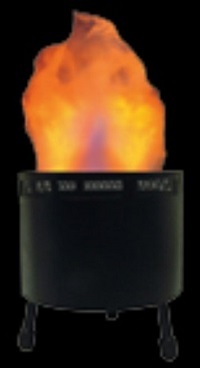 LED I.R. 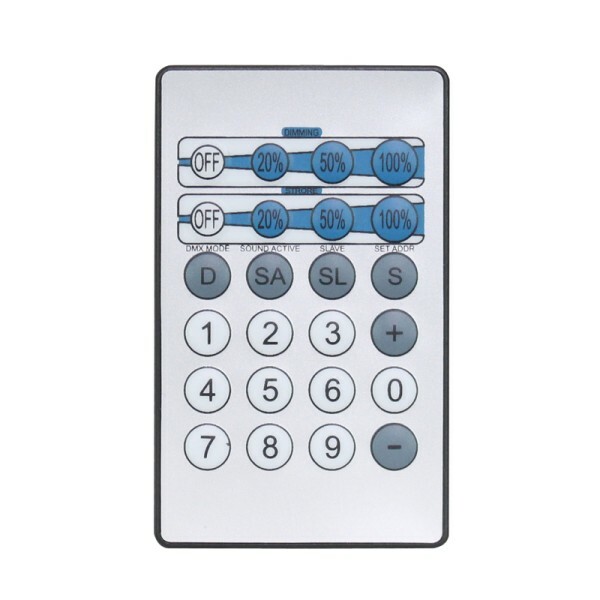 Remote for LEDSpectra Flood & Spectra Par (Exterior IP65). 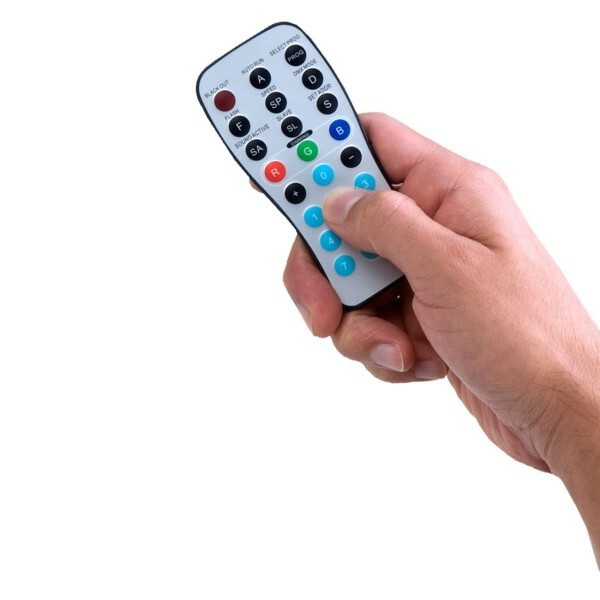 Quick and easy infrared remote for the LED External Spectra Series. 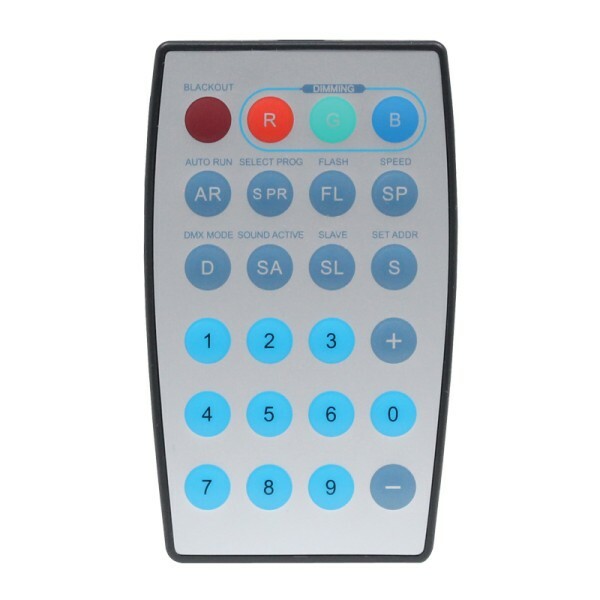 LED Infra Red Remote Controller for LED fixtures, Infra Red Remote Control designed to be used with the LED Range of Infra Red controlled LED Lighting. 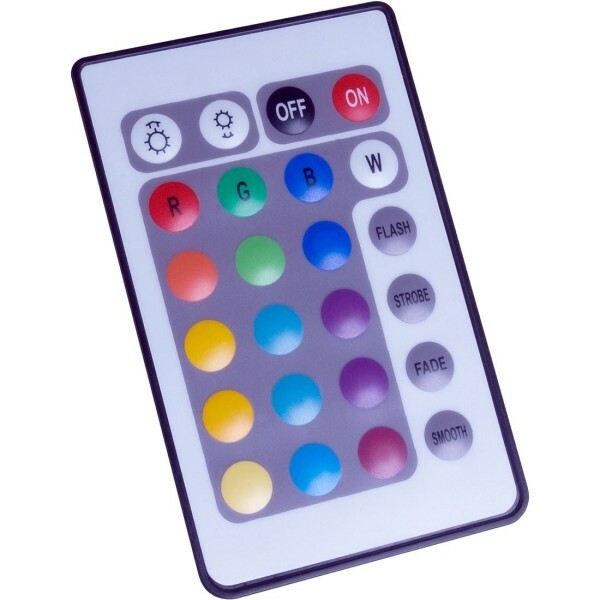 LED Infra Red I.R Remote For LEDJ Quad Colour Fixtures, LEDJ I.R. 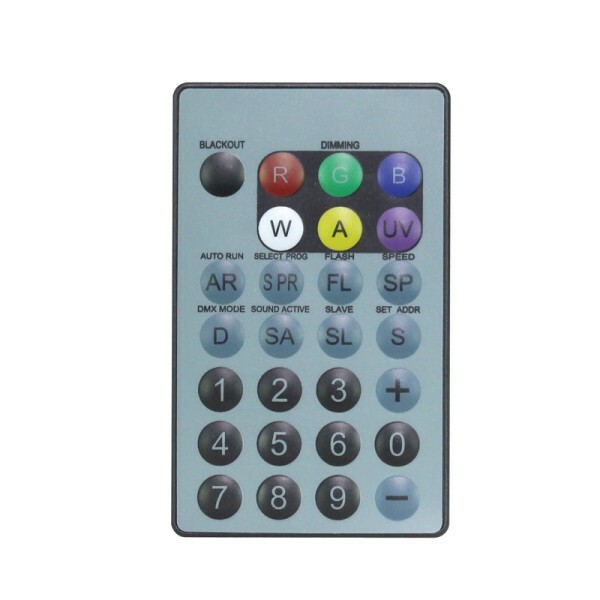 InfraRed Remote For LEDJ Quad Colour Fixtures. 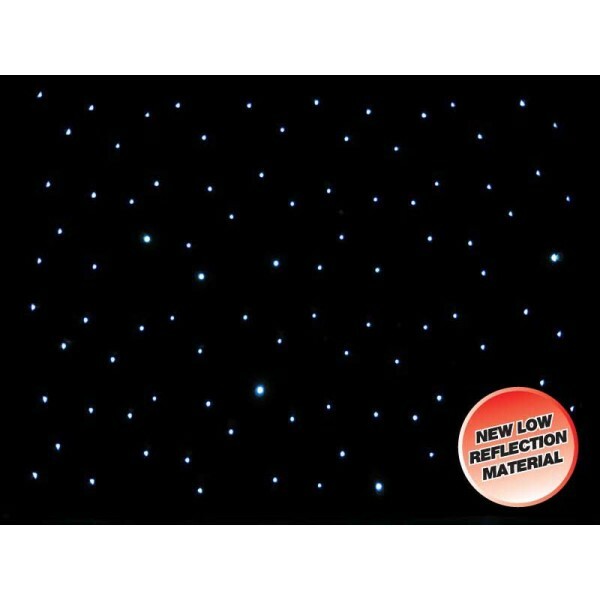 Prolight LEDJ Infra Red Remote for LEDJ76/76B/76C, Quick and easy infrared remote for the LEDJ External Spectra Batten (1M). 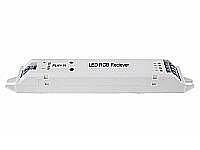 LED I.R. 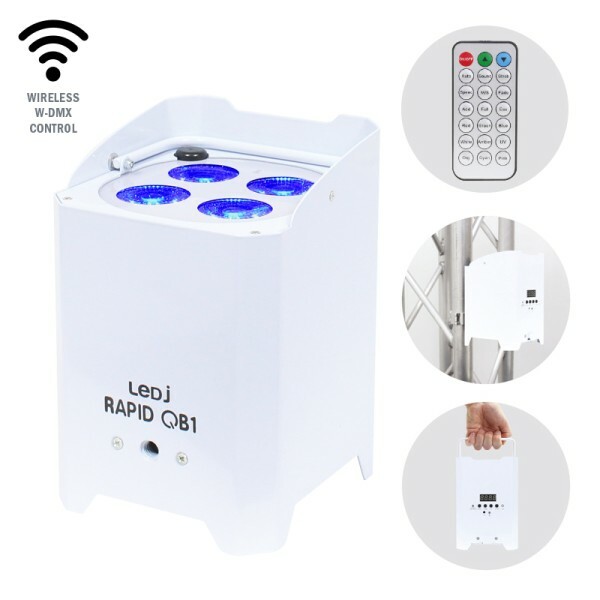 Remote For LED Pro Xterior 60 CW/WW, LED I.R. 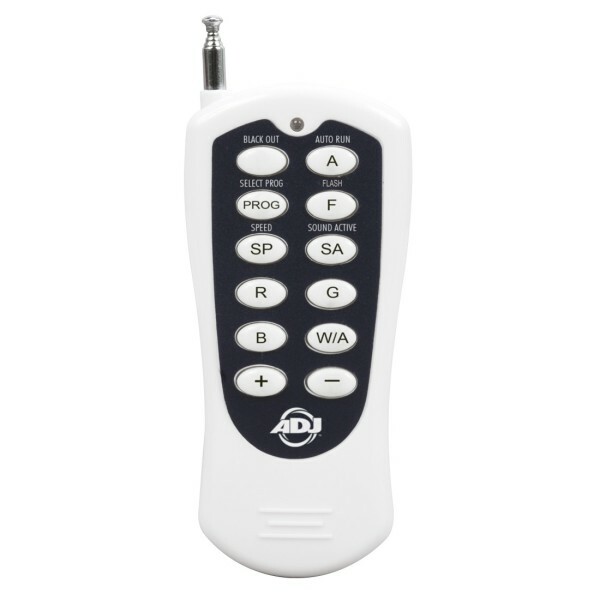 Remote For LEDJ Pro Xterior 60 Cool White/Warm White. 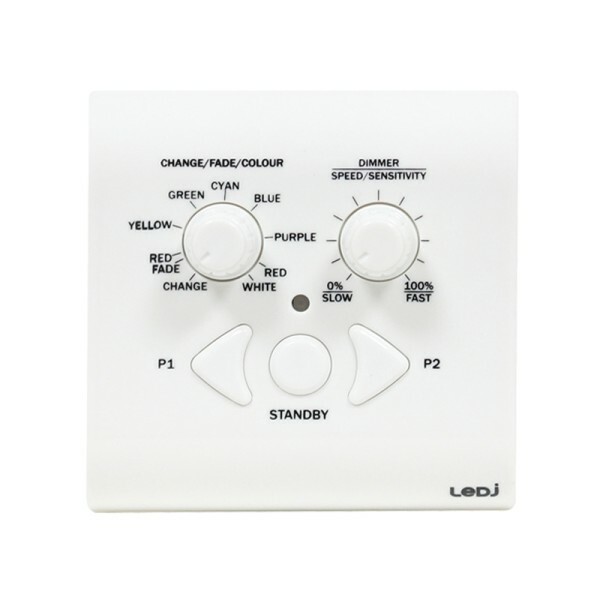 LEDJ IR Remote for LEDJ61/61A/62/62A, LEDJ IR remote for LEDJ slimline warm white and cool white fixtures. 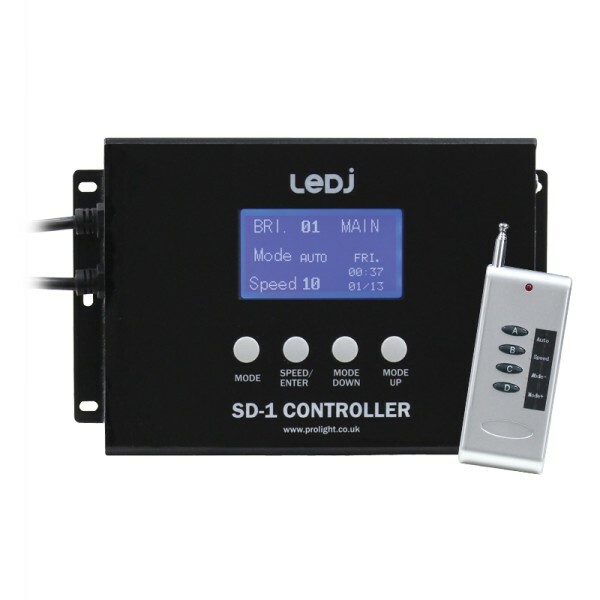 LEDJ IR Remote for LEDJ HEX Fixtures (RGBWAUV), IR remote for various LEDJ HEX fixtures, including: LEDJ60/60A, LEDJ70/70A and ELUM18/118A. 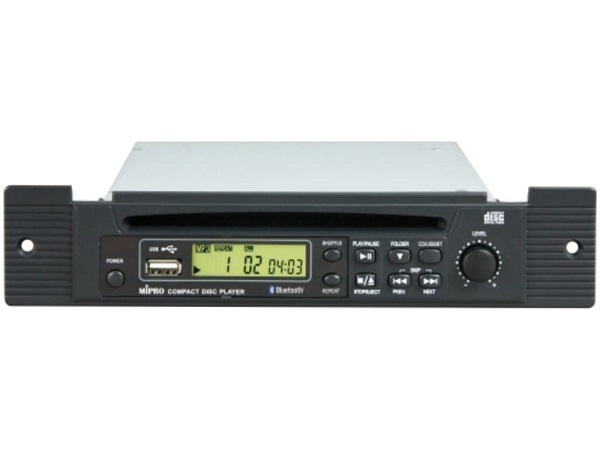 Visio FLEXICON DMX Controller, A user friendly controller, perfect for mood creation in hotels, bars and venues. 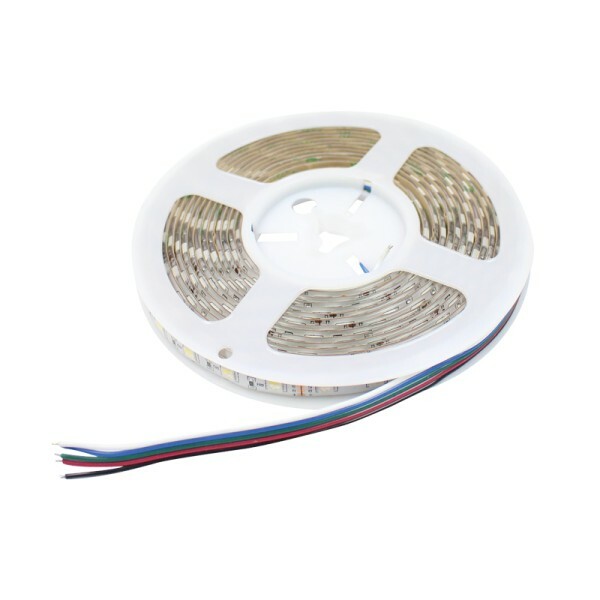 Suitable for DMX control over installed fixtures such as LED flexible tape, architectural or basic stage lighting. 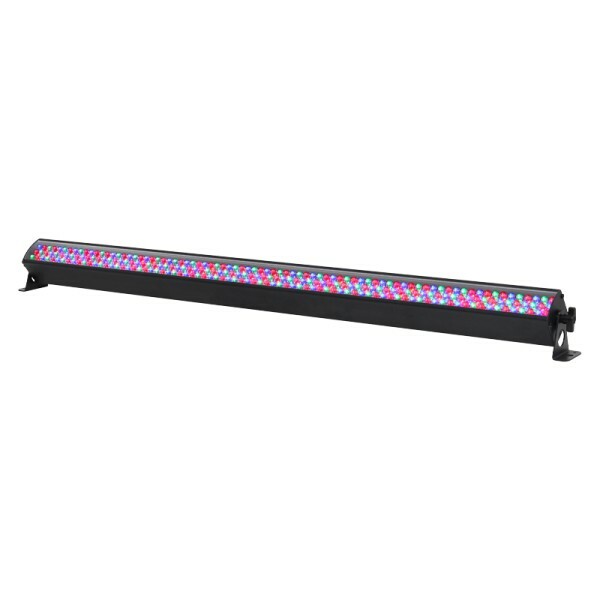 Designed for use with RGB or RGBW fixtures, the FLEXICON can be configured during installation via a simple dipswitch for either three or four channel DMX operation. 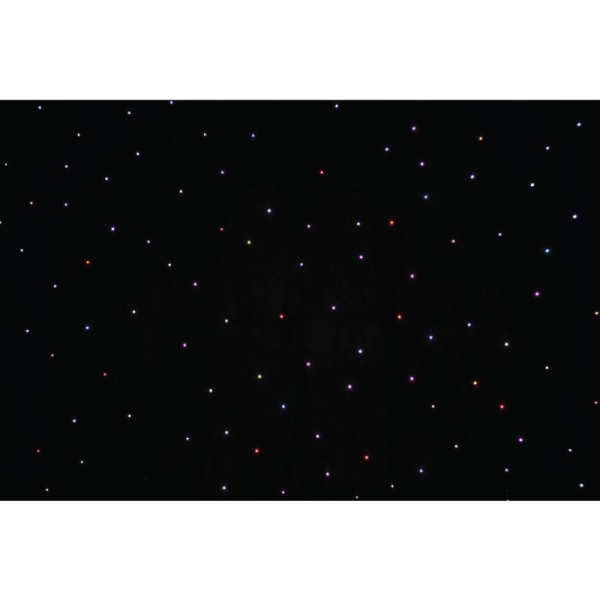 The FLEXICON features a tri-colour LED indicator to mimic the output colour, allowing the user to see the effect directly from the wall plate. 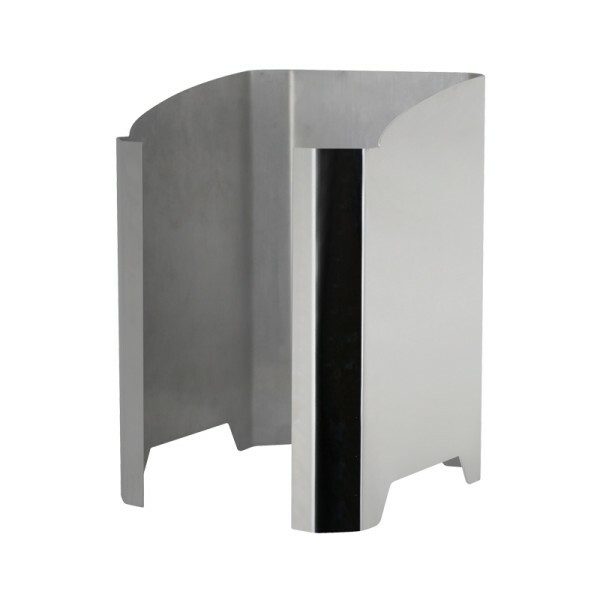 It is also suitable for installation into single gang, electrical back boxes for convenient integration. 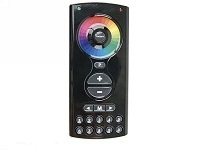 LED RGB Wireless RF Remote Control Play IV, LED RGB Wireless RF Remote Control Play IV, Remote Control for max. 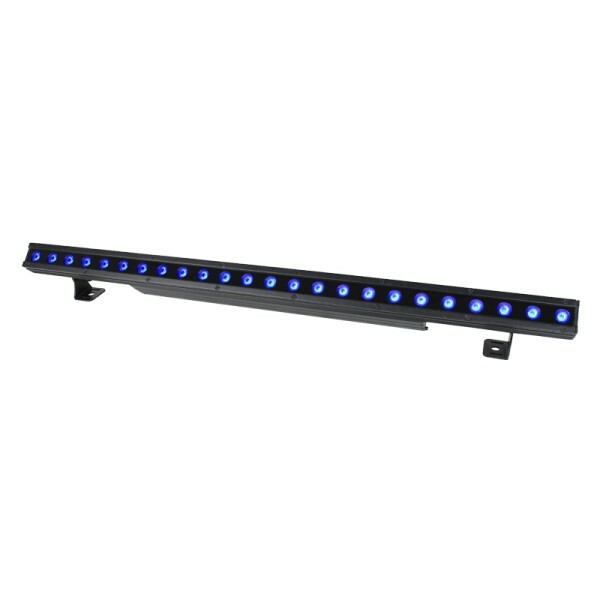 10 LED RGB receivers. 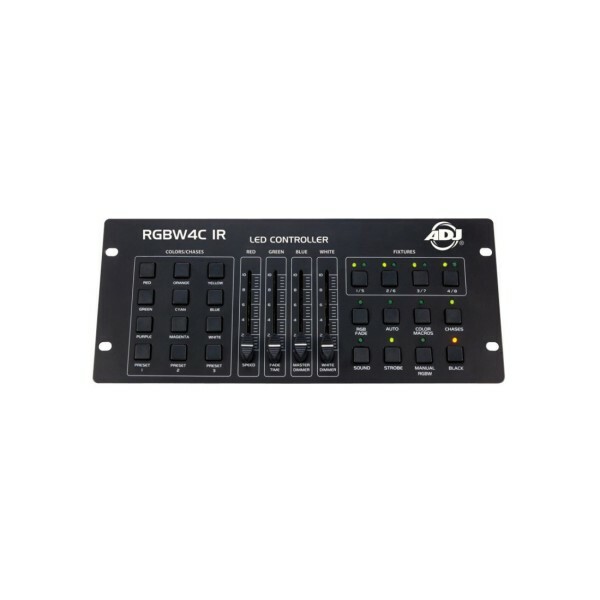 The ADJ RGBW4C IR is a 32-channel RGB, RGBW or RGBA LED controller. 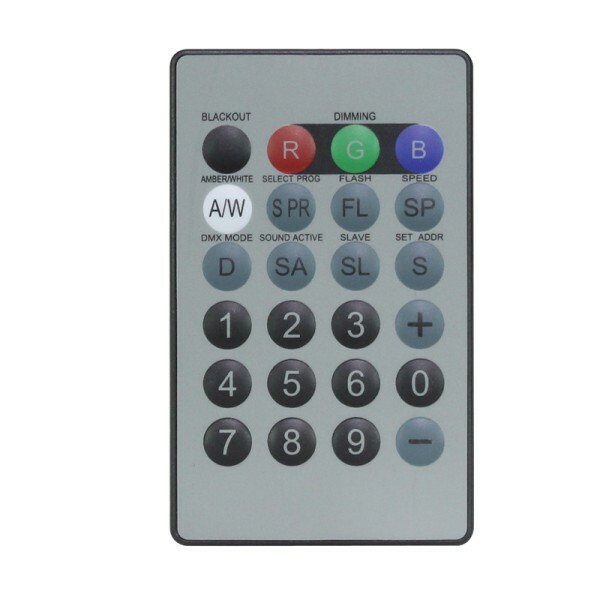 It was designed to control any standard 3 or 4 channel group of LED fixtures where channel 1 is Red, channel 2 is Green, channel 3 is Blue and channel 4 is White or Amber. 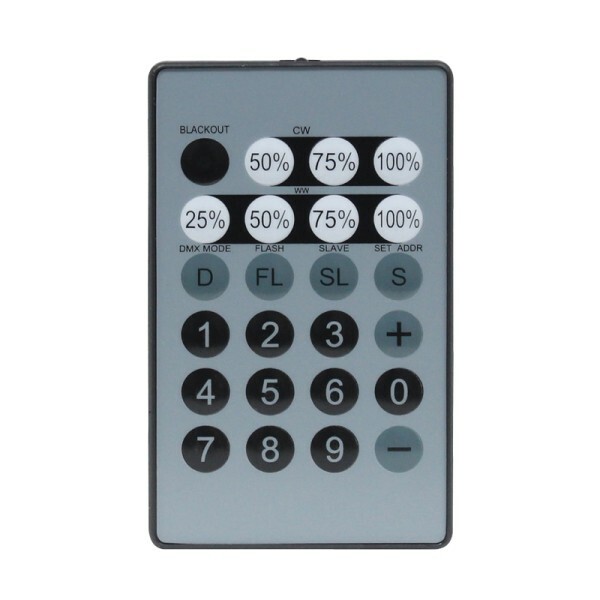 Up to 8 LED fixtures or fixture groups can independently be controlled via four fixture buttons. 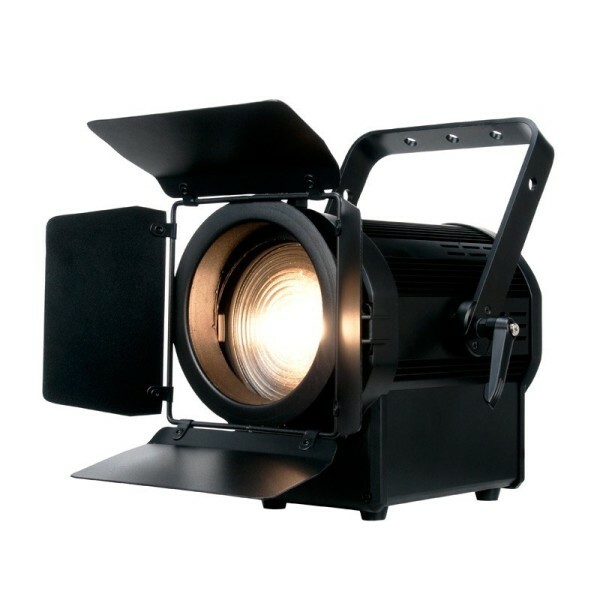 All LED fixtures or fixture groups must be set to run in DMX mode and be addressed four channels apart for independent control. 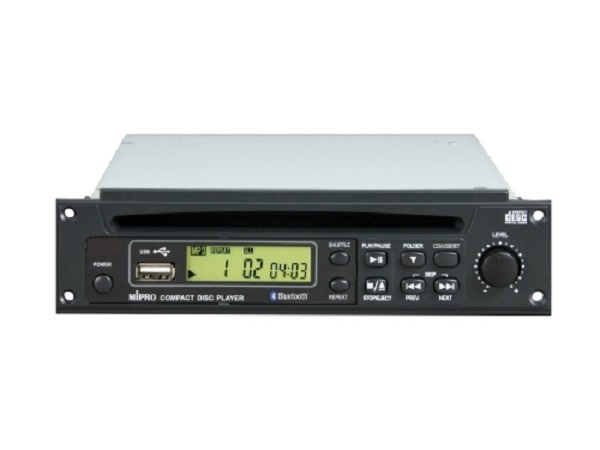 The units control panel includes 9 direct access “Static Color/Chase” buttons, which contain pre-programmed color presets and chase programs, 3 user programmable color preset buttons, 4 multi function faders that control RGBW intensities on the fly, as well as chase program “Speed”, chase program “Fade Time” and “Master Dimmer”. 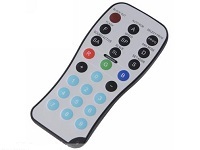 There is also an array of 8 buttons used to select the operation mode, including RGB Fade, Auto Run, Color Macro, Chase, Sound Active, Strobe, Manual RGBW and Blackout modes. 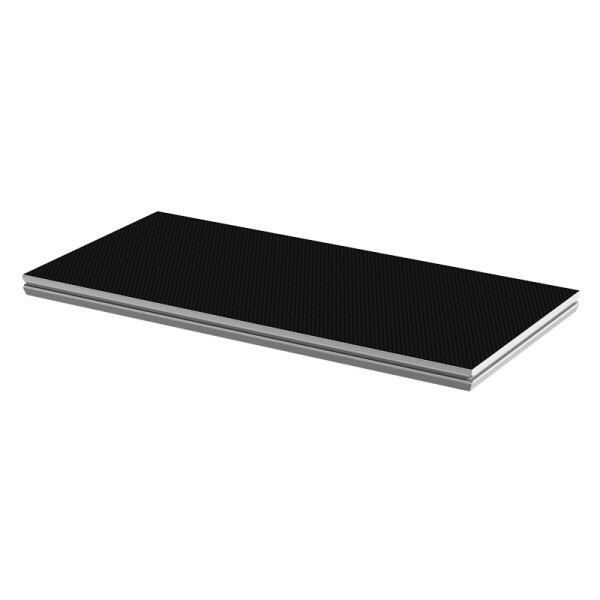 The RGBW4C is one of the simplest and most versatile LED controllers available today. 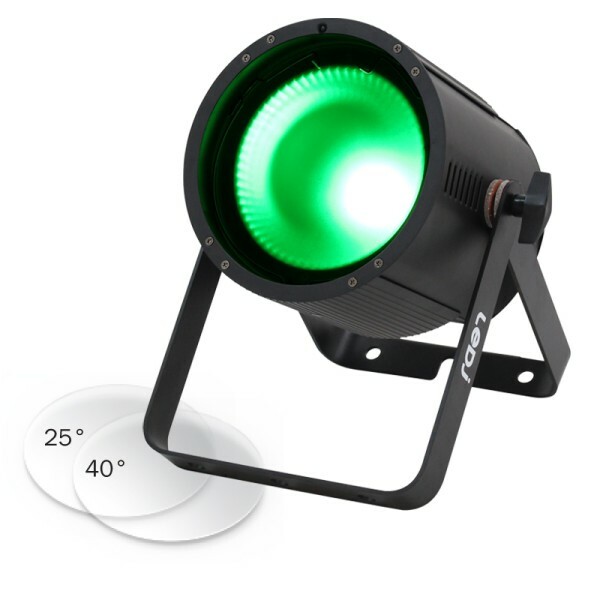 It’s ideal for D.J.’s, nightclubs, lounges, bars and anyone that wants easy control of LED Par’s, Bar’s, Flood’s or Panel’s. 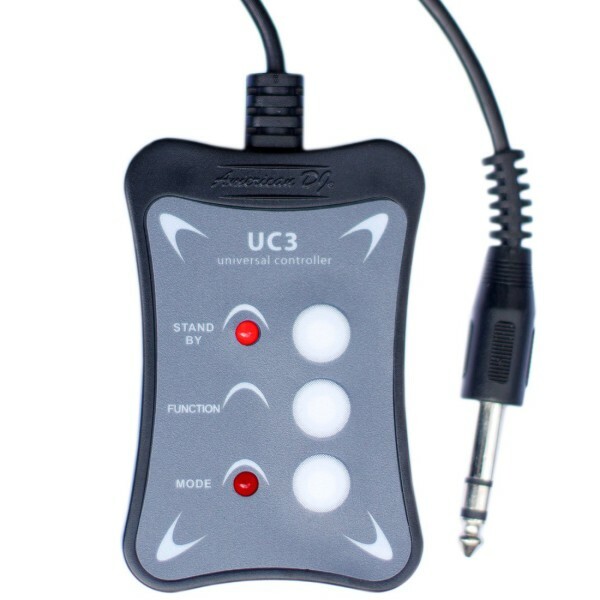 The ADJ UC-IR infrared remote has many different functions and gives you complete control of your fixtures. 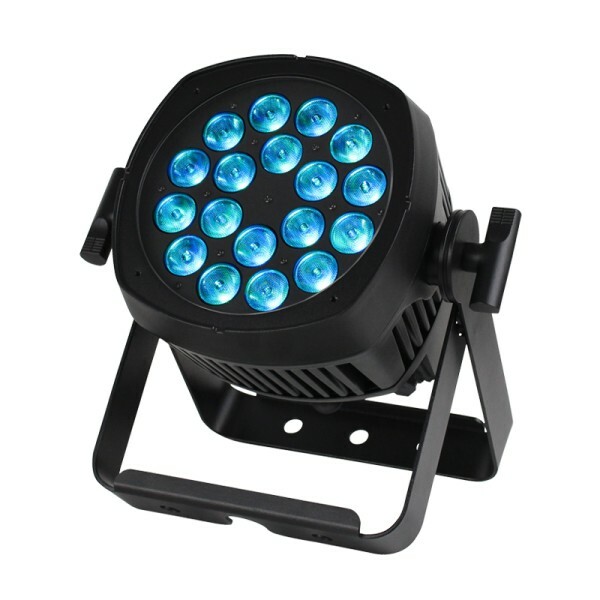 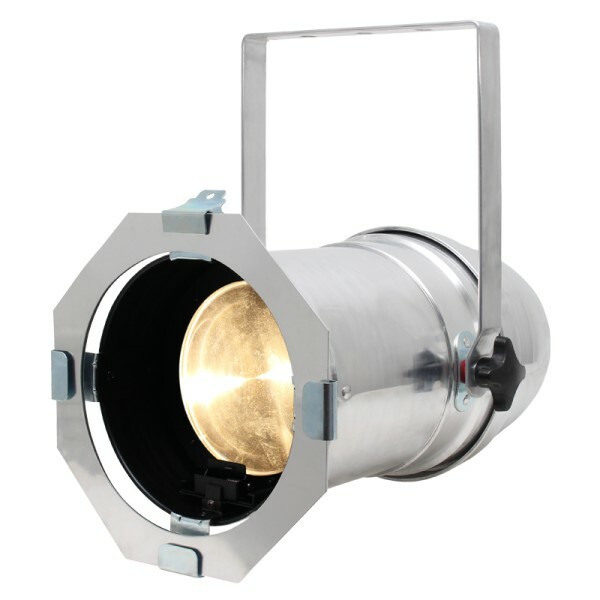 Control the dimmer, Full ON, blackout, gobo, colors, shows, programmes speed and sound active modes of your fixtures.